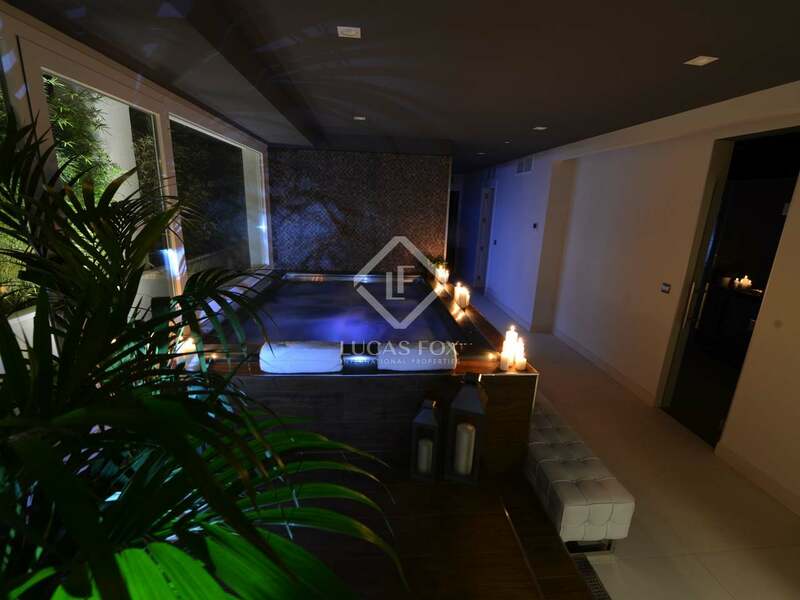 This property is part of the Exclusive Luxury New Development in Madrid. 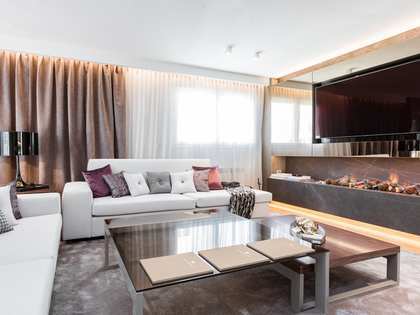 A superb new development with 14 apartments and 3 stunning penthouses for sale, situated in a highly sought-after location in the heart of Madrid. 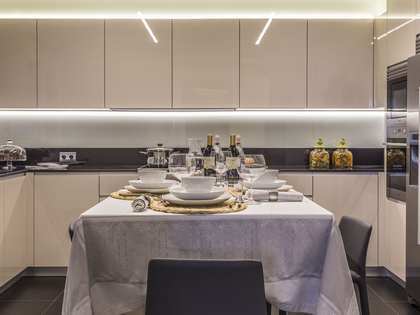 This superb new build luxury home offers an elegant living room, an airy dining room and a large fully equipped kitchen with a utility room, the highest quality finishes including high-end appliances and cabinets with Silestone worktops. 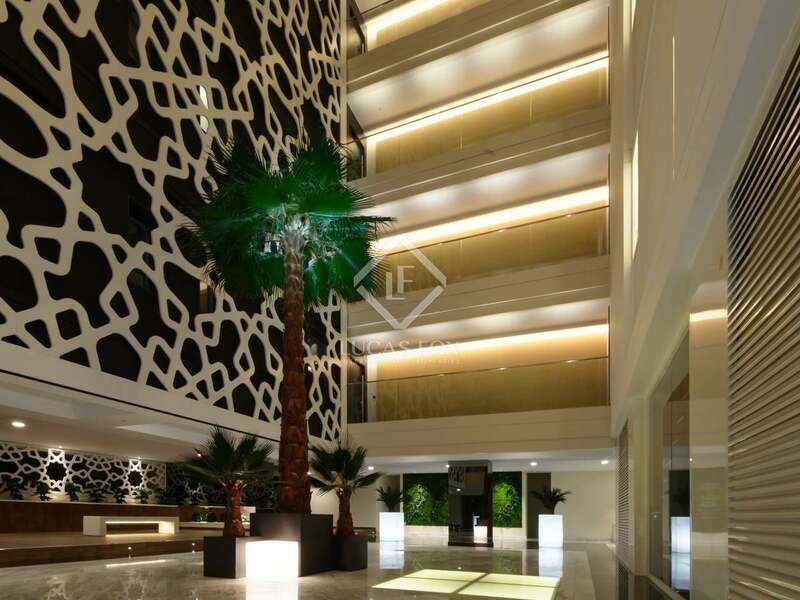 The bedrooms have been distributed along a corridor which has 2 entrances, one to the communal lift (main one) and another one with a lobby that leads out to the convenient large balcony overlooking the atrium. This space is communal but of exclusive private use to the owner of the apartment. 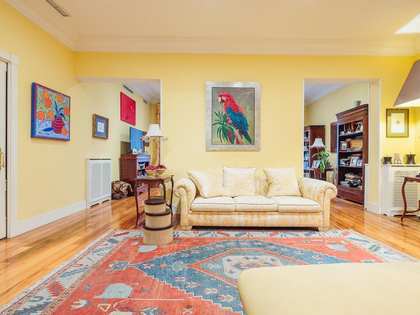 There are 3 medium-sized bedrooms with views of the interior patio and elegant ensuite bathrooms. The master bedroom is spacious and has a classy design. It has a dressing room and a complete ensuite bathroom that boasts the best finishes and materials. Large balconies provide abundant light and good ventilation. Exceptional finishes that respect the property's heritage have been provided along with modern luxuries for a contemporary lifestyle. 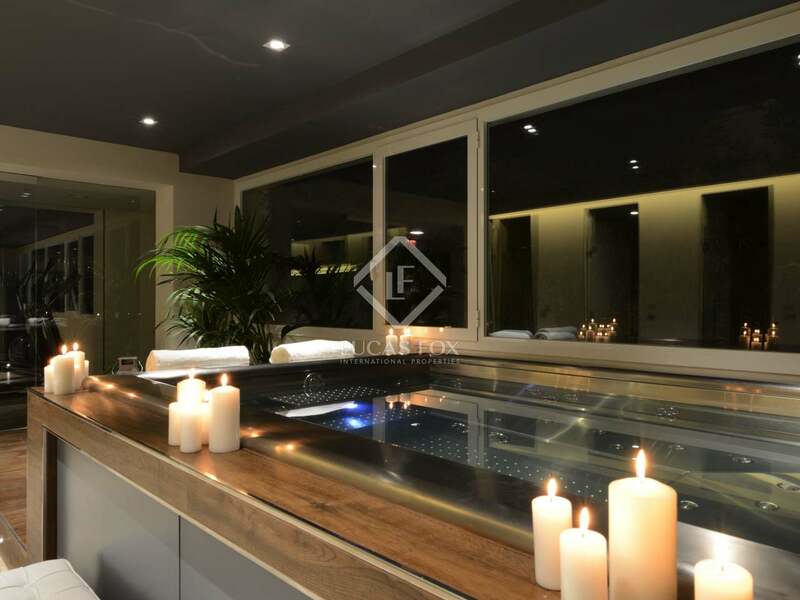 Natural wood flooring and a technologically advanced control system of heating, lighting, security and parking (with remote control) are additional features of this property. 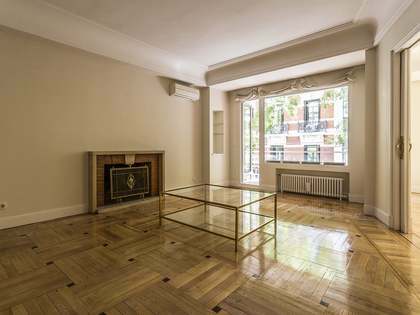 Furthermore, the apartment includes a large storage unit and 2 parking spaces with the option to acquire further spaces if required. 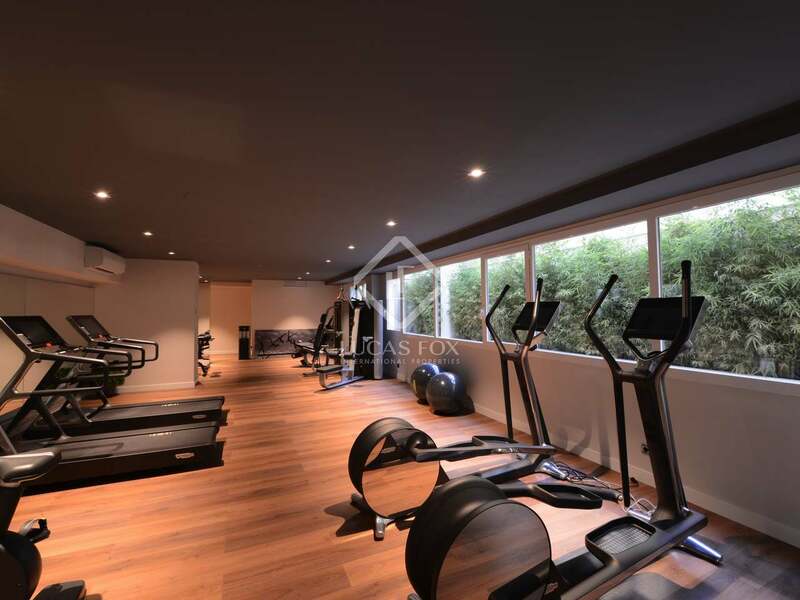 The communal private gym and spa with jacuzzi, sauna and steam room are the perfect place for residents to prepare for the day ahead or recover from the pace of city life. The social events room, with its private wine cellars, provides a relaxing alternative for getting together with friends or colleagues. Security features are subtle but uncompromising, with private parking, 24 hour security and a concierge service, ensuring that residents can feel relaxed and safe at any time in this exclusive building. 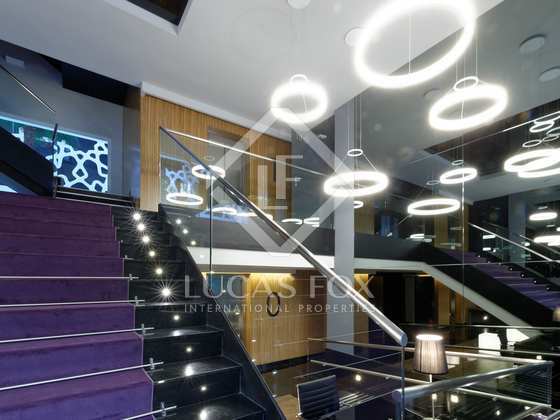 Contact us for further information about this stylish new luxury residence in Madrid City. 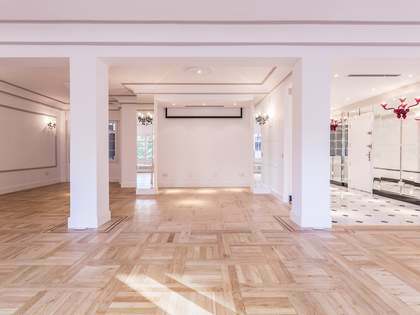 The building is situated in one of Madrid's most sought-after residential areas on Calle José Abascal in the heart of the Chamberí-Almagro district. 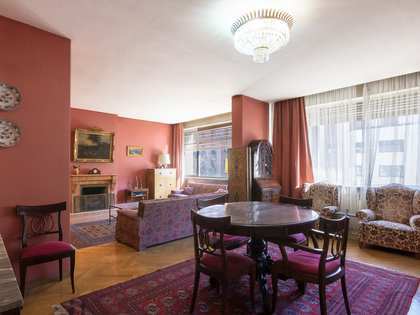 The building is located just metres from the emblematic Paseo de la Castellana, the IE business schools, the wealthy Salamanca district and the Serrano Shopping. 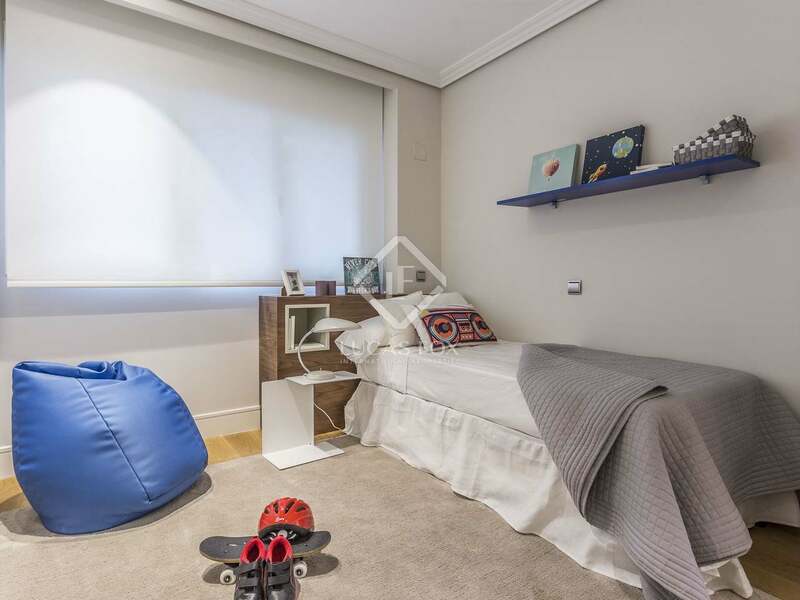 Also it is just a stone´s throw away from the Bernabeu Stadium and the famous Retiro Park, as well as some of the capital's principal museums, such as the National Science Museum, the Prado Museum and the Thyssen-Bornemisza Museum. 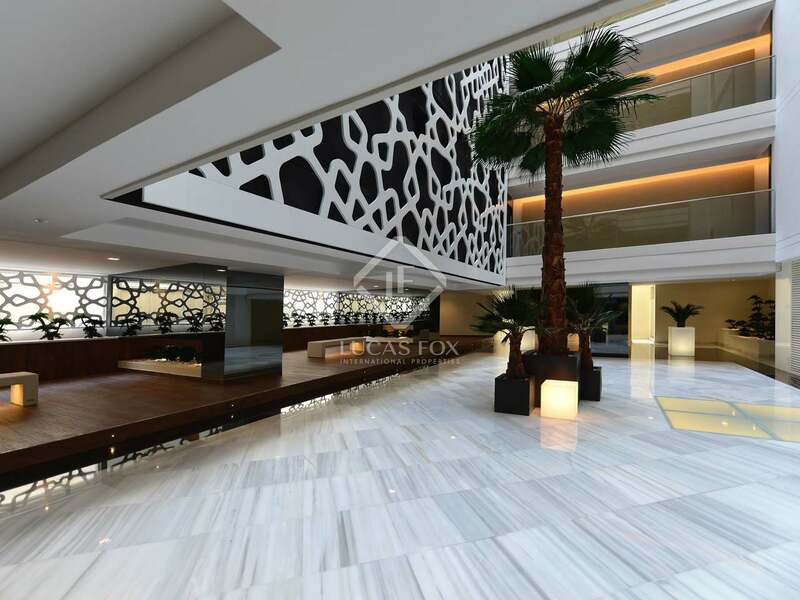 The area is home to the headquarters of many multinational companies and Madrid's central business district is just a short distance away. Residents can enjoy excellent connections to the rest of the city via public or private transport. The Gregorio Marañon and Alonso Cano metro stations are within a few metres and it is just a 20 minute drive to Madrid's main airport.